Stuck in the middle of a project? Want to solicit the opinions of other users of the software you're using regarding how to model particular mechanical phenomena? 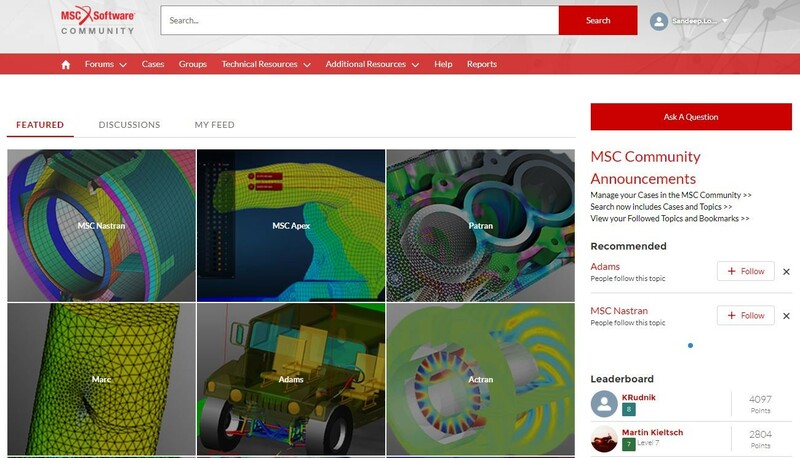 Now you have the opportunity by participating in the MSC Software Virtual Product Development (VPD) Community. 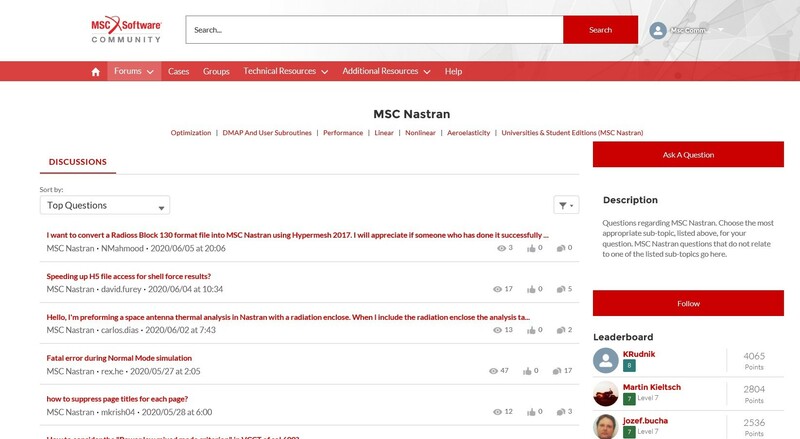 The MSC Software VPD Community consists of 12 separate discussion communities; one for the eleven MSC Software Product Lines, as well as one dedicated to Universities and Student Edition products. 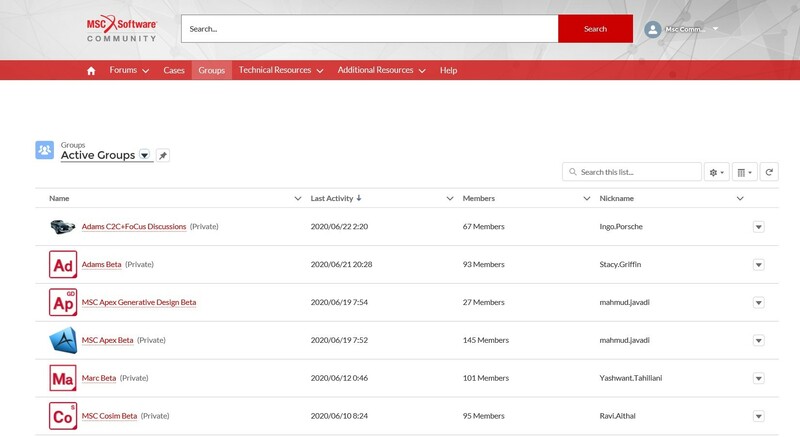 MSC Software's VPD Community can be a helpful tool when you have a project-related question, or want to tap into the vast knowledge of the users of MSC Software's Virtual Product Development Solutions throughout the world. While not a substitute for the technical support provided through MSC Maintenance, the VPD Community is one more avenue to try when you're looking for answers.